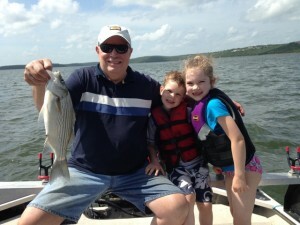 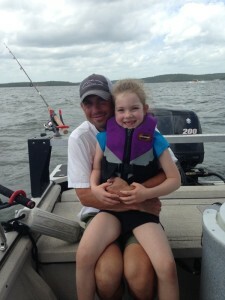 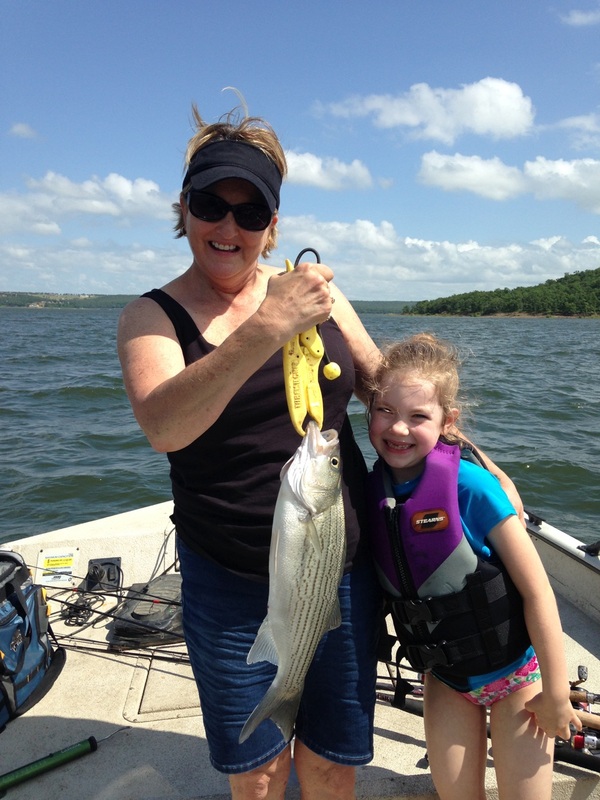 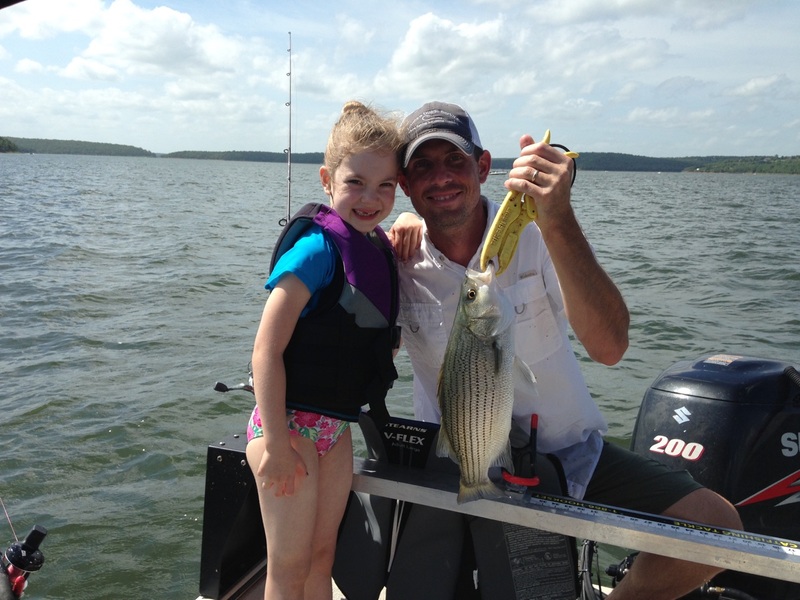 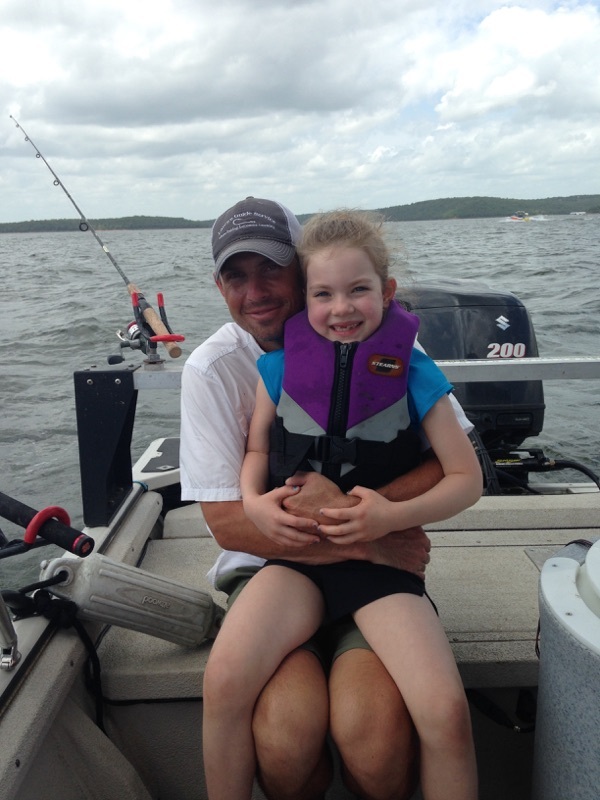 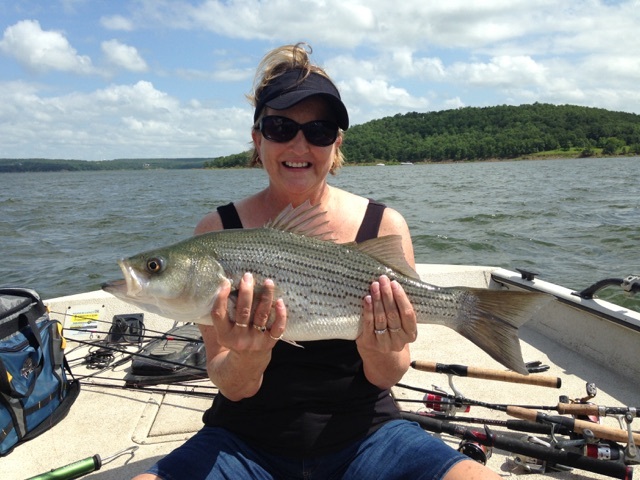 The stripers and white bass were plentiful today on Keystone Lake in Oklahoma! Sean and Dom caught good fish on Ole Ugly slabs all day. Fish were relating to ledges, humps and points. 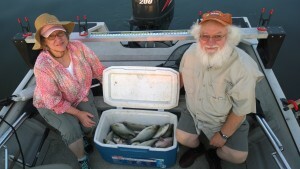 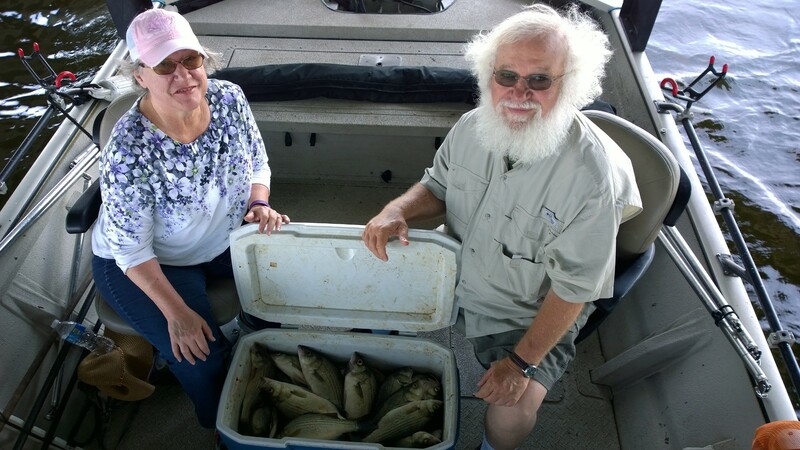 I had the pleasure of fishing with Larry and Iris Beckett on Grand Lake for White Bass (Sand Bass). It sure was a beautiful evening and the catching was good too! We found the white bass on a ridge running bait in 14-16ft of water. 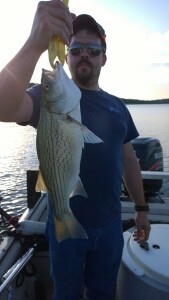 They bit slabs really well for a couple hours and then we switched over to dragging the Hell-Pet for a change of pace. 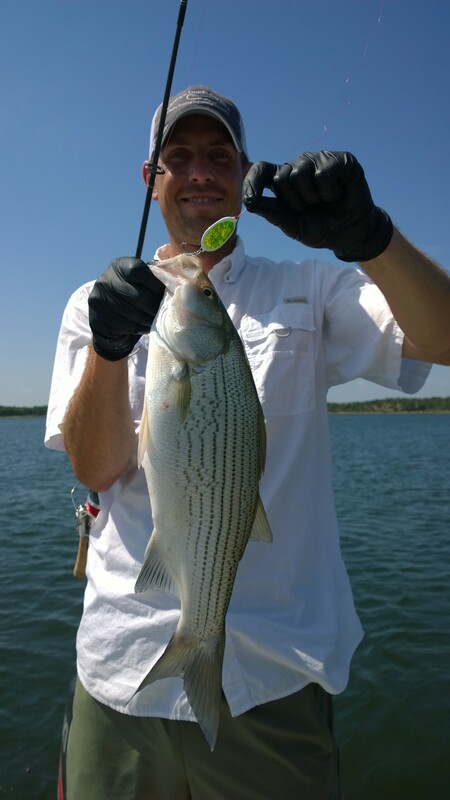 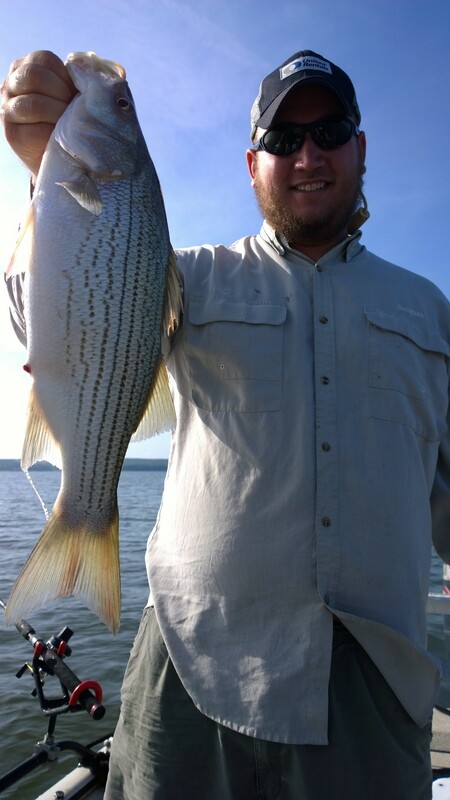 The past two days have been extremely tough fishing for hybrid-striper on Skiatook Lake in Oklahoma. 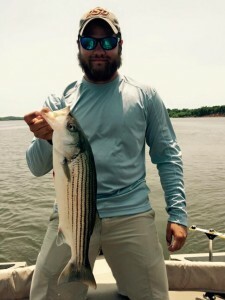 It was like a light switch was turned off and the bite died. 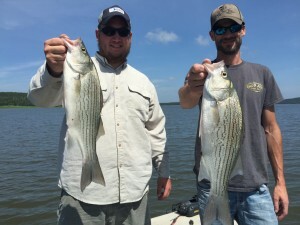 We tried freelines, downlines, cut shad, lively fresh shad, big bait, small bait, artificials, deep water, shallow water and everywhere in between. Summertime is tough on Skiatook and we are evidently at that point. 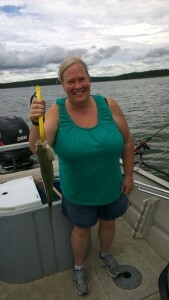 Caught a couple of nice fish each day and eating size catfish. 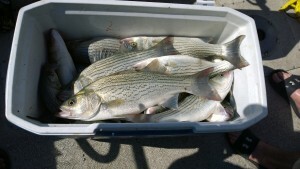 Time to move on to catching striper at Keystone and white bass at Grand. It sure has been a good Spring and early-Summer Mr. Skiatook. 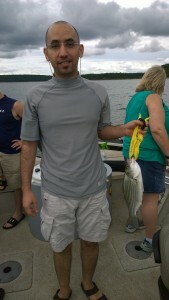 See you again in the fall. Actually, the evening bite will pick up soon and we may give night fishing under green lights a try. 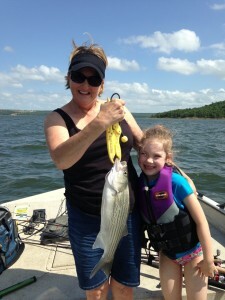 Video: Girls Can Learn to Fish Too!!! 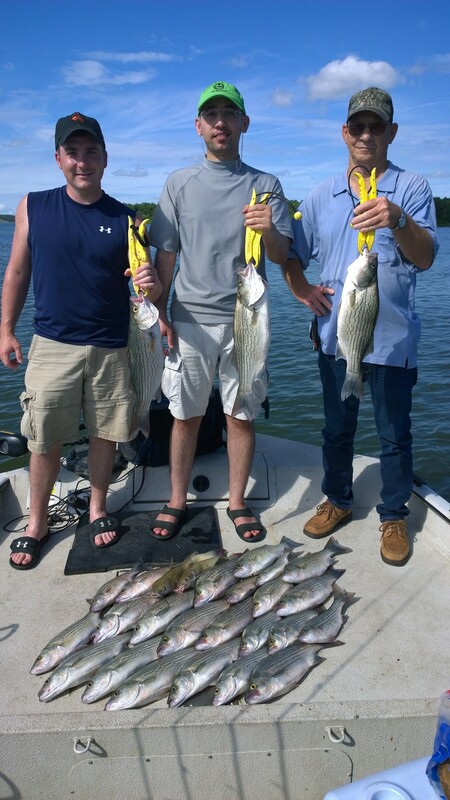 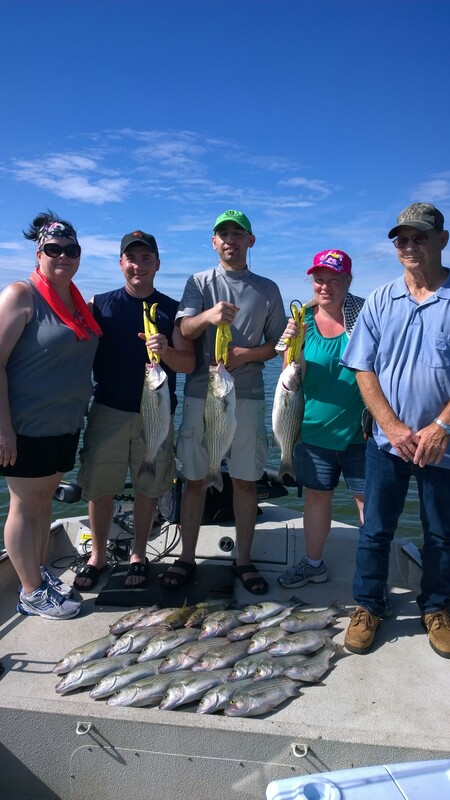 Father’s Day trip with Dusty, his brother, and their dad on Skiatook Lake in Oklahoma fishing for hybrid-striper with a few bonus crappie and catfish. It was a beautiful morning with a fun group of guys. 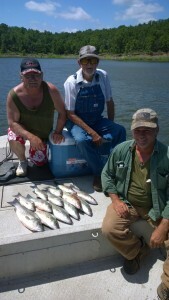 They all were impressed with the big fight these fish display!!! 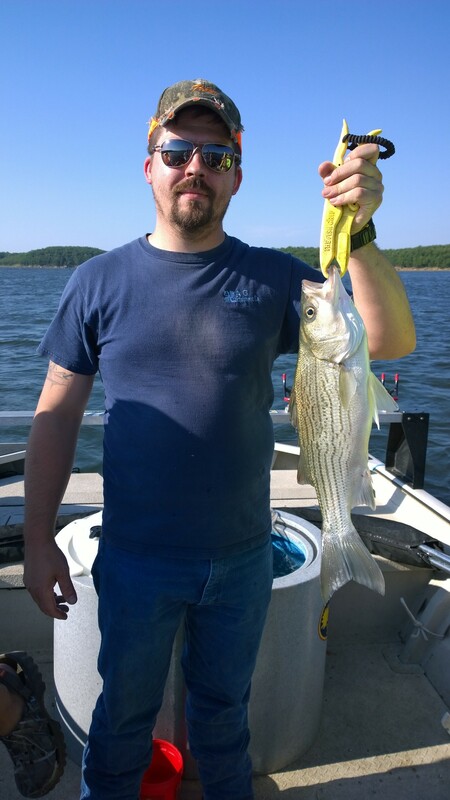 Fishing for hybrid striper Skiatook Lake in Oklahoma was a little bit slower than it has been, but all in all it was a great day on the water!!! 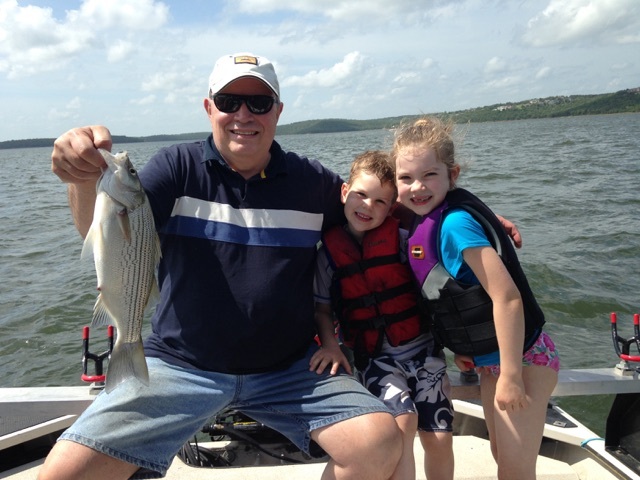 The rain has moved on and brought Skiatook Lake in Oklahoma as close to normal as it’s been in a long time! 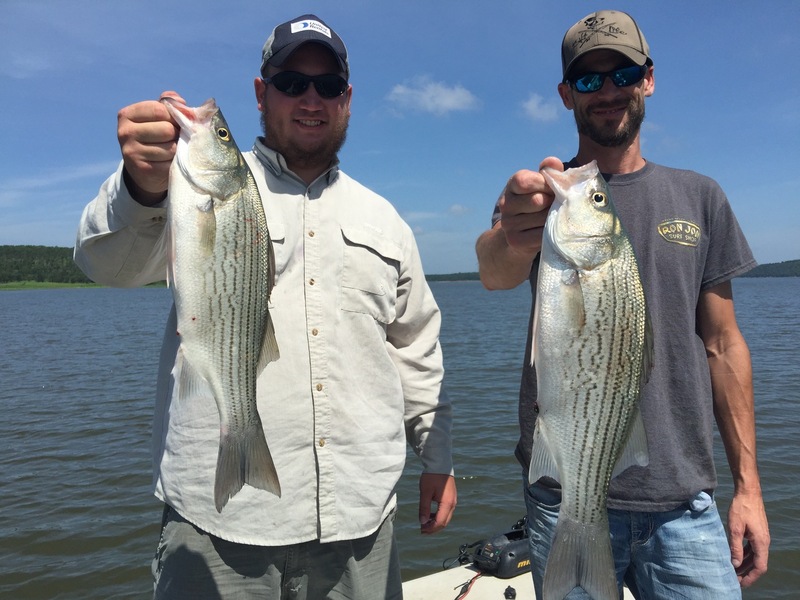 The Schmidt brothers took home their limits of hybrid striper filets plus a handful of catfish. 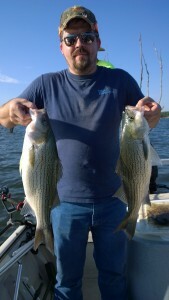 All fish caught on gizzard shad, both cut and live, using downlines and freelines. What a fun trip today on Skiatook Lake fishing for hybrid-striper with Maher from Saudi Arabia and his friends! 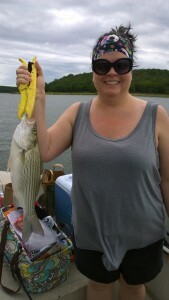 It was laughs all afternoon and the catching was pretty good too. 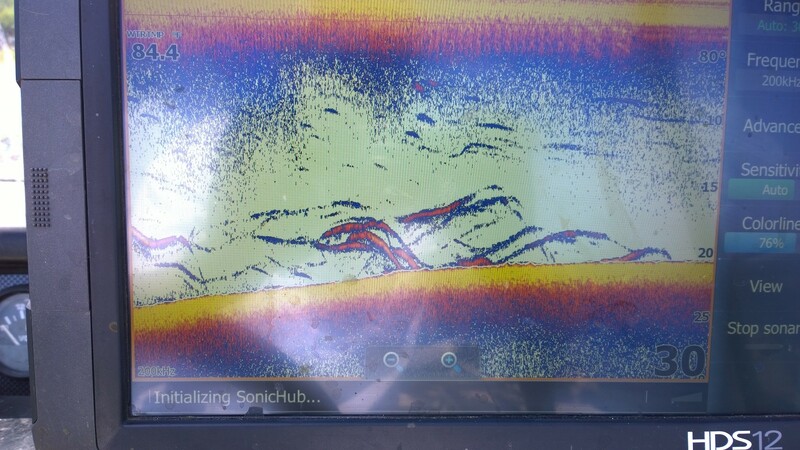 The fish were moving and running a ridge. 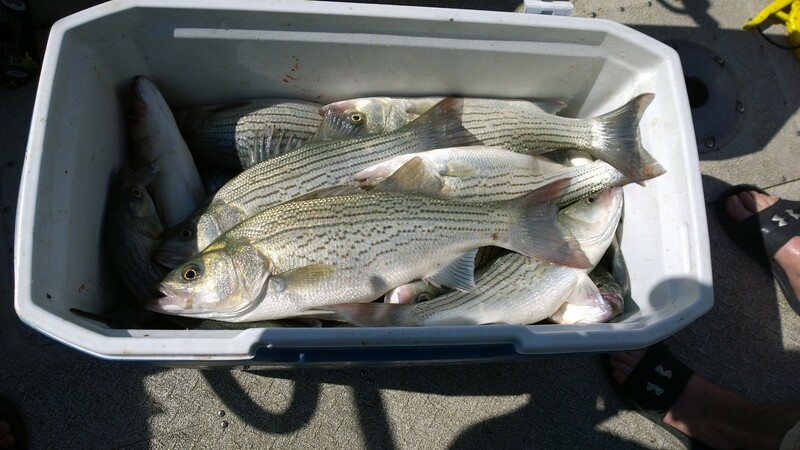 We’d catch a couple and have to move just a little bit to get back on them. A cat and mouse type pattern, and they got it done! 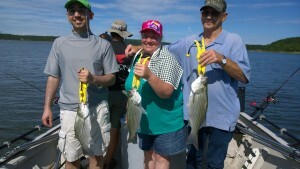 Most fish were caught on downlines and they preferred smaller lively gizzard shad. 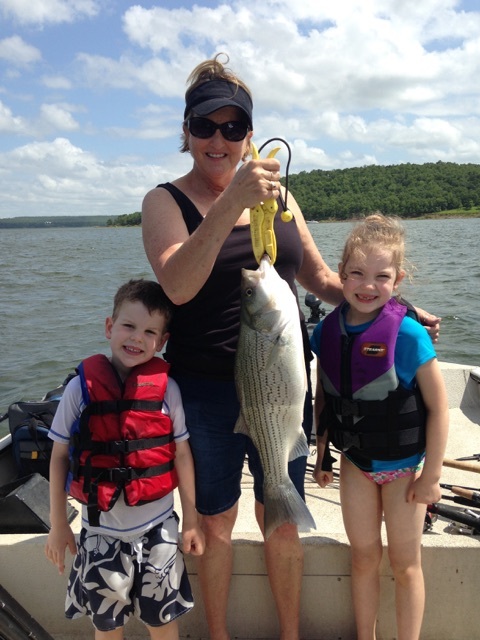 I have a few openings this week on Skiatook for hybrid-striper or white bass on Grand Lake. Dom and I did a little field work looking for hybrid striper feeding grounds this afternoon before our guide trip at Skiatook Lake in Oklahoma. 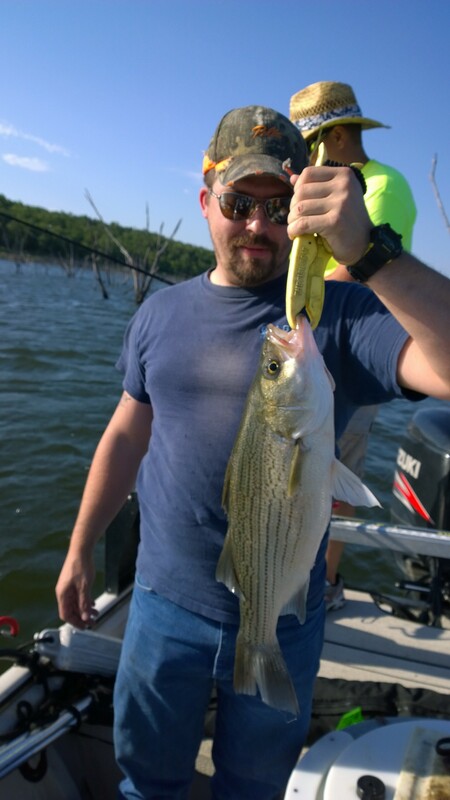 Caught hybrid-striper on both live bait and artificial. 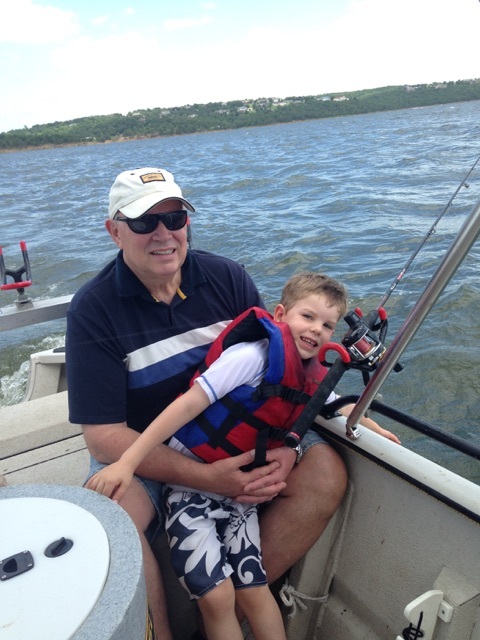 Picked up James and crew about 4:45pm for an evening on Skiatook Lake in Oklahoma catching hybrid-stripers. 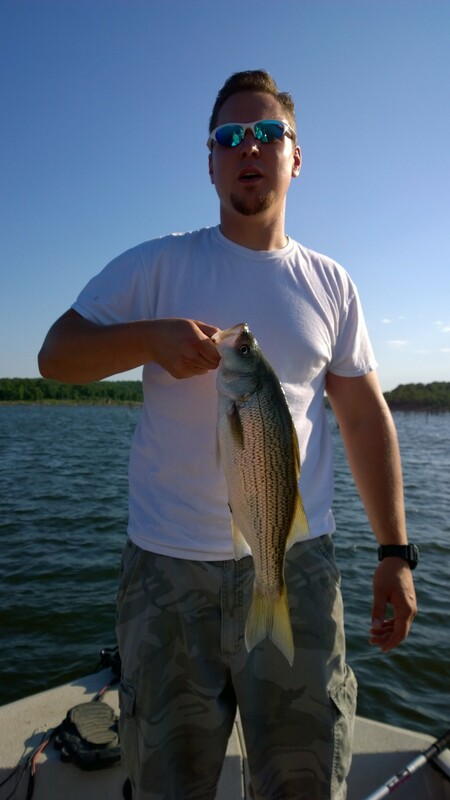 It was on tonight! 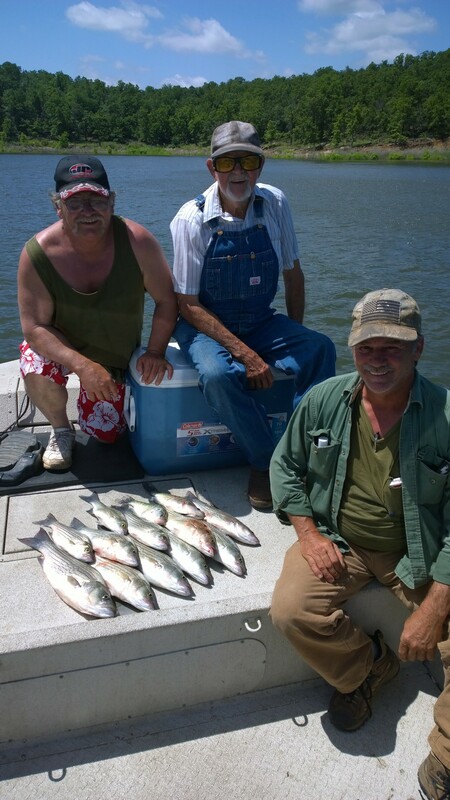 The average size was really good and the areas we hadn’t fished yet this year are definitely holding solid fish. These guys were a blast to be on the water with.